Cycling Scotland, the nation’s cycling organisation, is recruiting a Marketing and Events Intern to help achieve our vision and get more people cycling. Employers in Scotland can apply for up to £25,000 of funding, through Cycling Scotland, to improve cycling facilities and encourage cycling. Cycling Scotland, the nation’s cycling organisation, is recruiting a Development Officer to help achieve our vision and get more people cycling. 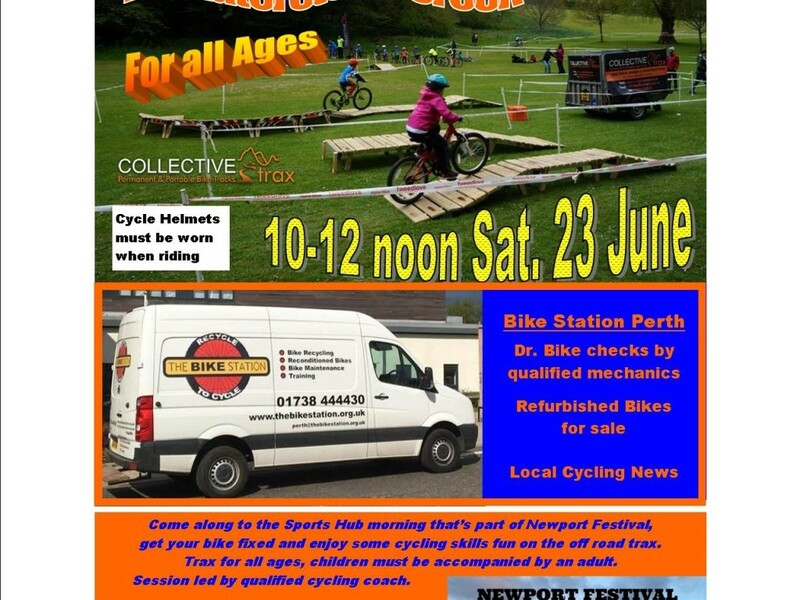 Come along to the Newport Festival and get your bike checked out by qualified mechanics from Bike Station Perth and enjoy some cycle skills fun on the off-road track. For All Ages. Free event.